It's time to take flight and fight the good fight on the final frontier! The excitement never ends as you launch into a starry realm of intergalactic battles, adventures through space, and ultimate rewards for high-tech genius and bravado. Leap between universes and soar through the stars, led by the boldest heroes of the cosmos. 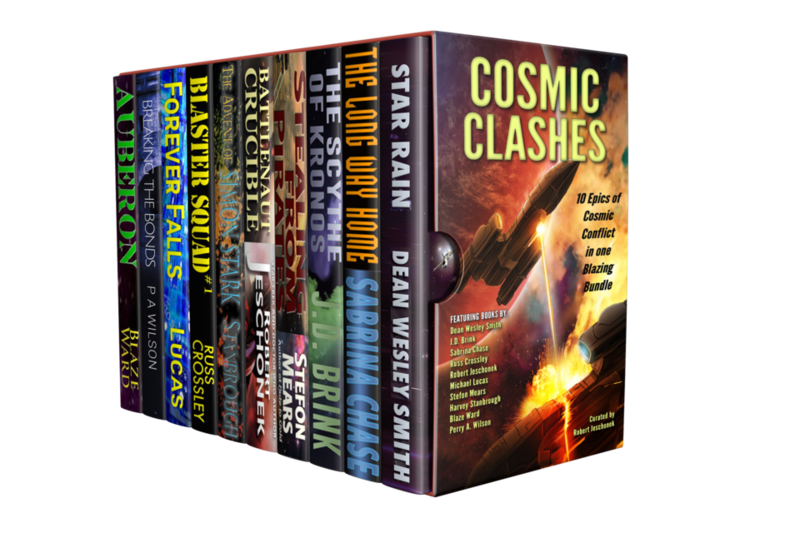 The Cosmic Clashes bundle will take you on the unforgettable interstellar thrill rides you’ve been dreaming of all your life. Available for $7.99 USD directly from Kobo. You can purchase this box set for $7.99 USD from Amazon. The box set is available for $7.99 USD at Barnes & Noble. For $7.99 USD you can purchase this box set from Apple Books.